A woman in our ward leads a quilting group every semester and this was one of the projects for this semester. 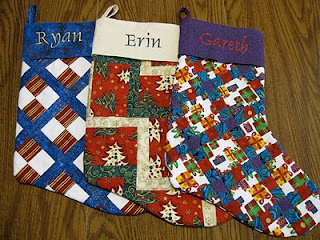 I'd been planning on making quilted stockings for our family for some time, so I was excited to have the chance to do it where I'd also have someone hounding me to get it done quickly. And it was a great opportunity to ask my mom for the sewing machine she's been meaning to get for me for a while! (Thanks, Mom!) Another option this semester was to make a tree skirt. Since I won't be around for next semester's class I might just make that my next project - that or a quilt for Gareth's bed. Very nice! I'm impressed. 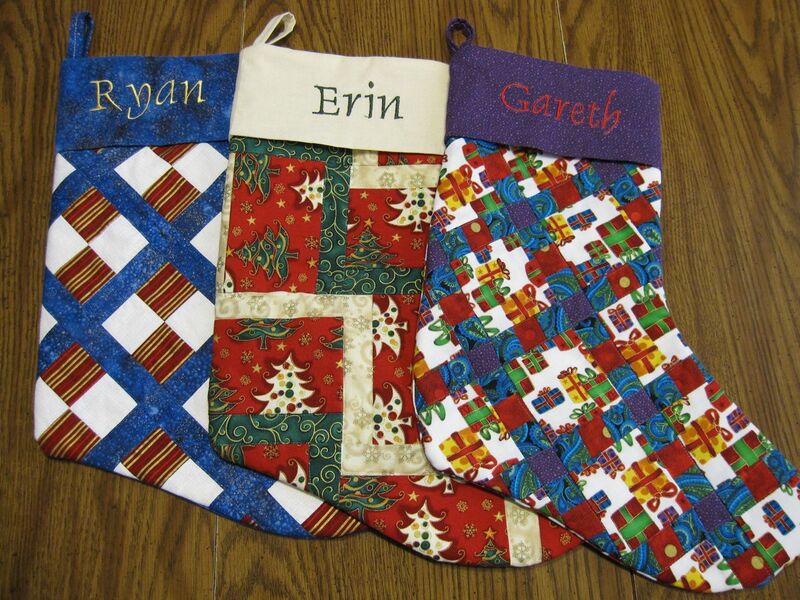 I still need to make stockings for us, though I'm quite sure ours will be far simpler.